Smoky opium dens and shady waterfront characters abound in Limehouse. Here are a few. First up, the main bad guys. 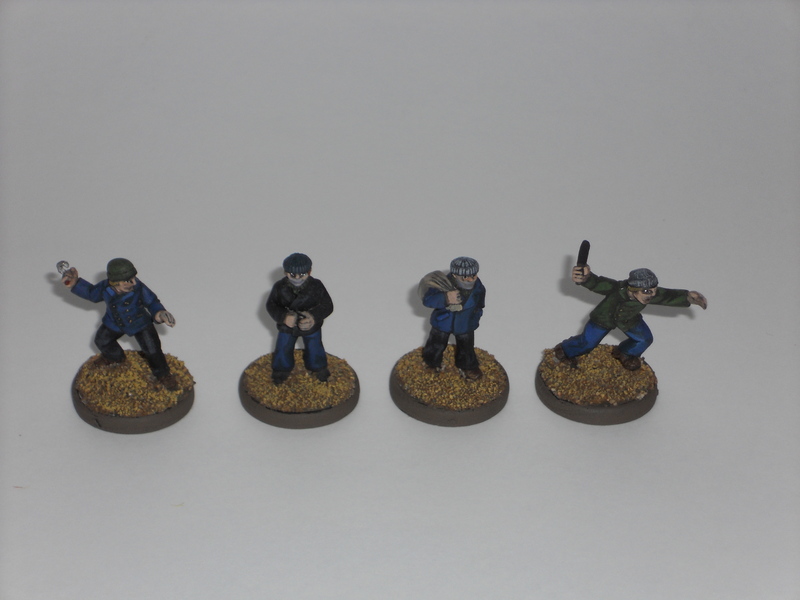 The burly fellow on the left is White Tiger, from East Riding Miniatures’s Golgo Island Legends line. Because of his striking resemblance to a famous Chinese bodybuilder/actor, I had to own him. 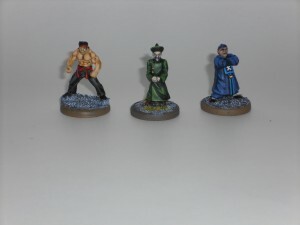 The other two miniatures are the Sinister Dr. Koo and his enforcer, Chang the Iron Fist, from Bob Murch’s Pulp Figures line. Dr. Koo is out of production while Bob works on a new sculpt. I can’t wait, although I like this one a lot. Next up: the cannon fodder. These Waterfront Characters are from Rattrap Productions for use with their .45 Adventure game. I like them, and I can always use more goons. I painted them all at once with similar colors to get them done quicker. I’m happy with the result. 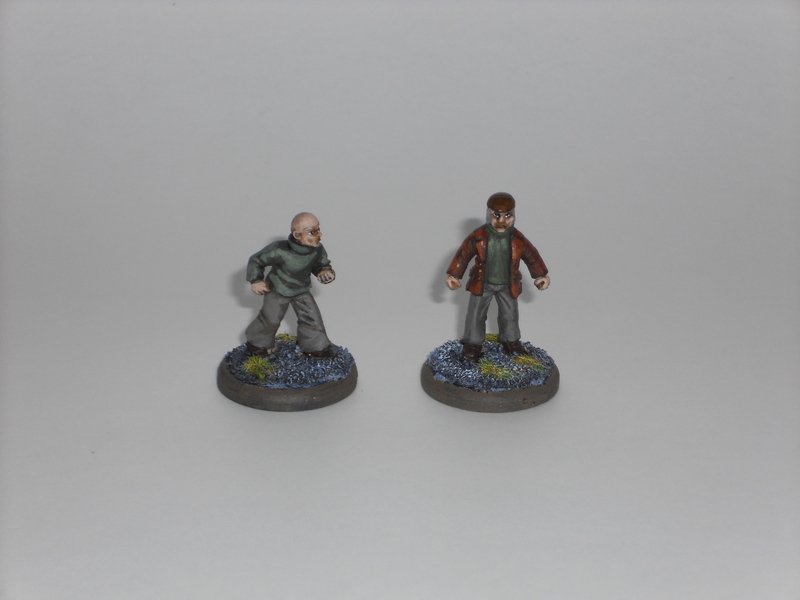 Lastly are these two ‘ard lads, from Killer B Games’s “Geezers…Shut It!” line. 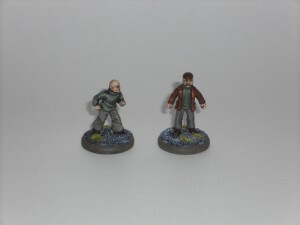 I don’t play Geezers, which is a miniatures game based on 1970’s British cops and robbers, but I found these two miniatures to be good for any period, particularly pulp. Not the best picture, I know. They look like a couple of tough guys who might cause trouble in a seedy section of town like Limehouse. « Who’s Getting My Money?